Application deployment is a fundamental capability of Configuration Manager and something that almost all ConfigMgr administrators make use of. 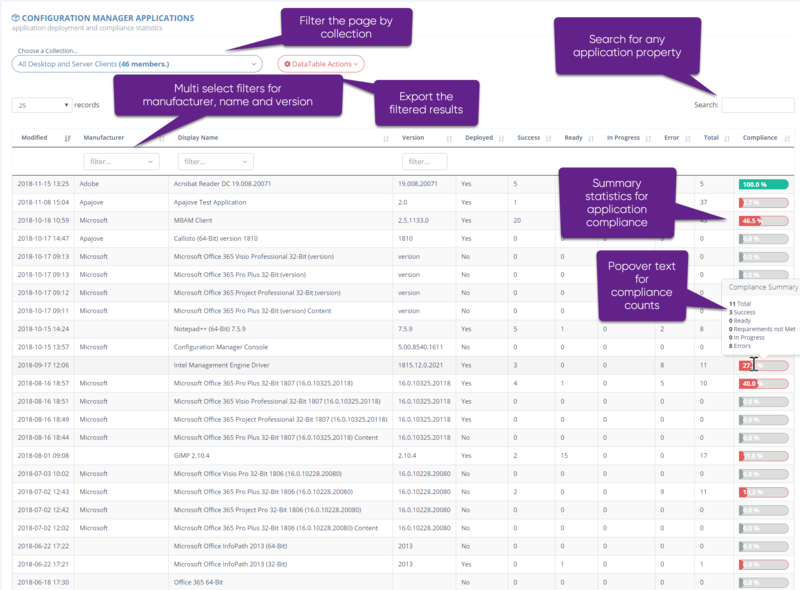 The Callisto Application page provides a data-dense view of the application environment, allows us to track application deployment and track compliance of applications irrespective of how they are installed on devices. The top-level application page shows us a wealth of data about the application estate. The compliance count in the small chart on the right and popover text showing compliance numbers is independent of deployment state, i.e. 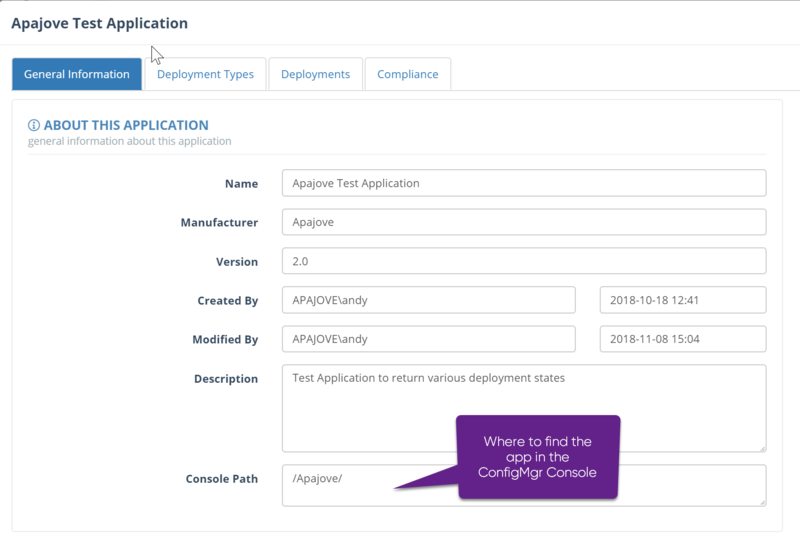 if an application has multiple deployments this count shows the overall compliance for all devices across all deployments. 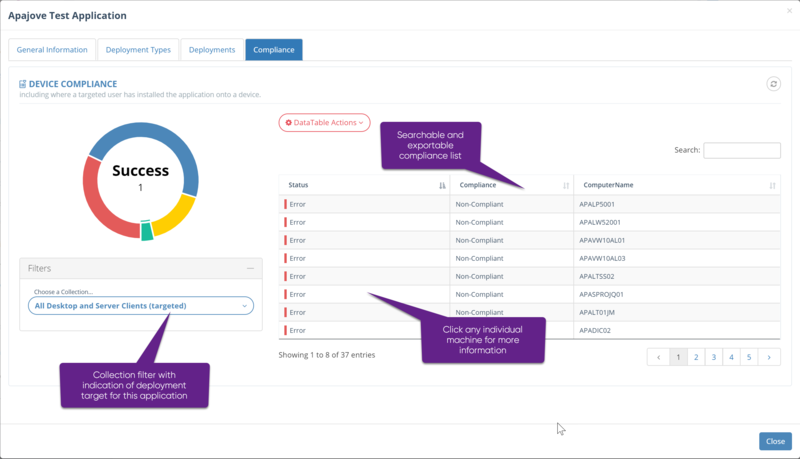 The modal compliance screen displays more granular detail about the application compliance. Clicking any individual machine will open the Callisto device modal with a focus on the Software – Application tab for further application info. The General Information tab holds the basic application description.